In 1980, Kim was born in the country city Warrnambool, where she grew up on a hobby farm with her parents, older sister and younger brother. Kim has a strong passion for art and has always been creative minded; playing around with paints at an early age. Although, it wasn’t until Kim was 16 she painted her first proper canvas. Kim initially took a career path other than that of Art and in 1998 she left Warrnambool to study Bachelor of Nature Tourism at Latrobe University in Bendigo. She sub-majored in Art during one semester of her degree, but largely considers herself to be a self-taught Artist. 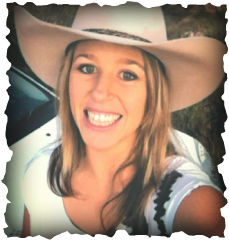 In 2005, Kim moved from Bendigo to travel parts of Australia. During which, she re-discovered her passion for ART (painting in particular), together with a vast interest from others. Whilst she was working as a tour guide in Cape Tribulation, amongst the Daintree Rainforest in Far North Queensland, she had many painting requests and soon found herself painting on her days off. Kim saw this as an opportunity to take her hobby to a professional level, moving back to Bendigo in 2007, she completed Cert IV in Small Business Management and founded Kim's Endless Creations in July 2007. Kim's Endless Creations aims at adding atmosphere to your home or business by the way of murals, canvases and prints. Since her business began, she has created a variety of paintings in various styles and on numerous surfaces. She has painted on walls; both inside and out, sheds, doors, even on poles and down pipes. Having also worked alongside primary school students, guiding them to create a 40m long masterpiece on a wall within their school grounds, Kim is certainly not shy of a challenge, finding the experience both challenging and rewarding. Kim's canvases and murals are more than just a painting; they are a unique statement of style and a mark of individuality. Kim uses a mixture of mediums but mainly works with acrylics as they are non-toxic and fast drying. Kim has a love and passion for what she does, as well as a strong appreciation for colour, all of which is extended into each piece that she creates which certainly enlightens those who view her work. Check out the canvas and mural gallery for some examples of her murals and if you are interested in commissioning Kim for your very own mural or canvas, details can be found on the personalised paintings page. Please feel free to contact Kim and tell her what you think and keep an eye out for her blogs to see what markets she will be attending and what exhibitions she has approaching.